01/12/2019 - The Hershey Bears erupt with three goals in the second period to beat the Lehigh Valley Phantoms, 3-0 on Saturday night at the PPL Center in Allentown. The win snapped a nine-game losing streak at the PPL Center, which dated back to Apr. 5, 2017. 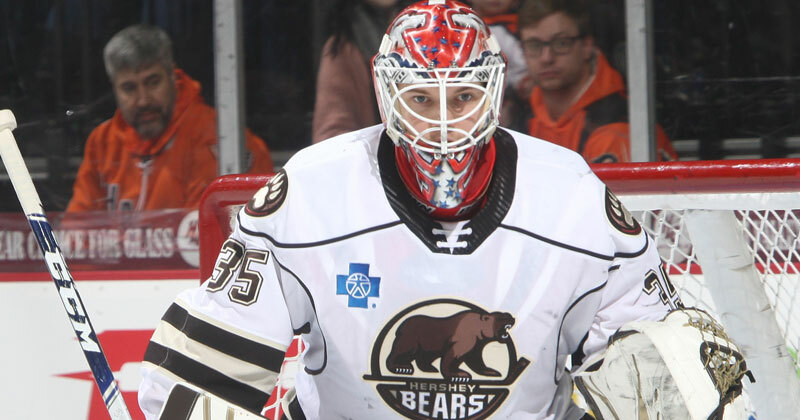 Ilya Samsonov stopped all 18 shots to record his first career AHL shutout. The Hershey Bears return to action tomorrow with a rematch against the Lehigh Valley Phantoms at Giant Center. It's PSECU Knit Cap Night. First 4,000 fans will receive a knit cap, courtesy of PSECU. Ticket information is available online at HersheyBears.com.